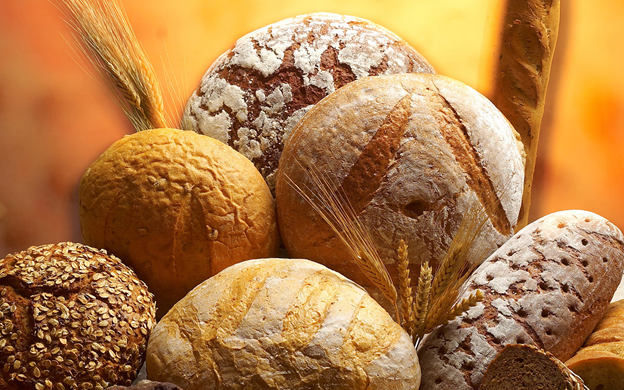 Bread was one of the last forms of food to be industrialized. This is due to its organic, living, unpredictable nature during fermentation. Until the early 1950s bakers used the same methods to ferment dough as the Egyptians had done over a millennia ago. They mixed the ingredients together and waited for it to rise. Dough would sit around on the floor doing nothing but fermenting for hours, something that was anathema to modern industrial production lines. Then, one scientist found a way to separate the process of fermentation into its component parts. The new system cut down the amount of time required to bake by three hours and significantly reduced the amount of human labour necessary. This was achieved, in part, through the use of artificially created high-humidity environments that forced the bread to quickly ferment. In contrast, artisan bakers do whatever they can to slow down the process of fermentation, going so far as to refrigerate the mixture, believing that this allows the flavour to better develop. Since consumers started buying bread in markets rather than making it themselves at home, they needed a way to assess its freshness. They did so by squeezing it. Softer bread was perceived to be fresher and so chemical additives were added to bread to make it softer, although this came at the expense of taste. Today Mexico is the world’s most dynamic producer of white bread. This happened largely because during The Cold War the United States wanted to undermine the allure of communism through cheap and plentiful food, and so purchased the latest food industrial products for use by the Mexicans. To read more of Strain’s fascinating analysis of bread, its history, and the role it has played in society, as well as to read why World War Two was crucial to our current relationship with bread, and why the supporters of traditional handmade bread were their own worst enemies, click here. The Rise Of Open-Access Journals?